From the point of view of a collaborator, a good working environment is the set of conditions that contribute to their satisfaction with their employment. For the company, it is the set of conditions that make workers more productive. Currently there are more companies who are concerned that they offer a good working environment. When we mention the terms commitment, high level of performance, productivity and work efficiency, all of them have in common that they are closely related to the work environment, which we also know as working environment, which makes mention of environmental, physical, technical and human conditions, in which the collaborators perform their functions. Having a good working environment is important so that the employees of the company not only give more but also to get more involved with their tasks and activities, feel satisfied and therefore contribute to the strengthening of the company. Promoting a good work environment is the direct responsibility of the company management, which must guarantee minimum working conditions for employees to carry out their activities regardless of the size of the company and its commercial activity. The success of a human resources management strategy is to find practices that improve the productivity of workers and at the same time make them feel comfortable with their work. You must know the labor code of the country and apply it according to what is established with the conditions that the company must guarantee to its employees for the performance of their duties. Send clear messages and allow free access to corporate information that is of general interest. The employees of the company perform better in work environments in which managers transmit more confidence and promote autonomy. Another aspect that can influence the work environment, is the leadership model that you have in the company. Autocratic or bureaucratic leaders often lead to rejection of the contributors. On the other hand, those that promote dialogue, communication, participation and interaction of all the members of the company, enjoy acceptance and prestige among their collaborators. Promote work environments in which tolerance is a key element and also promote cooperation among all team members instead of generating competition among them. All employees, and even the boss himself, can have complicated personal situations and must have enough empathy to understand their situation and understand the possible consequences. Build a pleasant physical space. We spend many hours a day inside the office, so we must try to have these places well lit, ventilated, etc. In addition, the organization, cleanliness and comfort should be taken care of in detail, as they will affect the emotional state and productivity of employees. From personnel management, employees should be told that their professional career does not have to be stuck within the company, but that it has growth prospects. 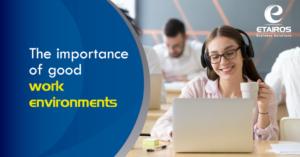 In addition to the rewards at the level of status or economic level, you can also encourage employees with training, offering courses of interest that also improve the productivity of their daily work. 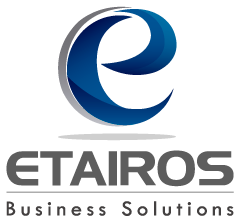 In Etairos we care about having a work environment designed for the welfare of our employees, motivating them to achieve their professional profile and personal growth.